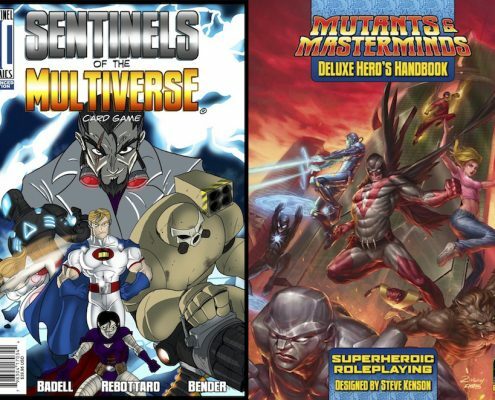 February 14, 2017—SEATTLE, WA: Green Ronin Publishing and Greater Than Games announced today that they would be working together to create Sentinels of Earth-Prime, a new version of the hugely successful Sentinels of the Multiverse card game using the core setting of the Mutants & Masterminds RPG. The game, a joint venture between the companies, is coming to Kickstarter in April. Earth-Prime has been the core setting of the Mutants & Masterminds RPG since its debut in 2002. Its characters and stories have been detailed in many books over the years, from Freedom City and Foes of Freedom to Emerald City and the Cosmic Handbook. The Atlas of Earth-Prime, a comprehensive setting book, was just released in January. Sentinels of Earth-Prime will be a stand-alone card game that can be played on its own or with decks and characters from Sentinels of the Multiverse for universe-spanning action. Its Kickstarter launches in April and Green Ronin will publish the finished game in 2018. Green Ronin Publishing is a Seattle based company dedicated to the art of great games. Since the year 2000 Green Ronin has established a reputation for quality and innovation that is second to none, publishing such roleplaying game hits as Fantasy AGE, A Song of Ice and Fire Roleplaying, and Mutants & Masterminds, and winning over 40 awards for excellence. For an unprecedented three years running Green Ronin won the prestigious GenCon & EnWorld Award for Best Publisher. Founded in January 2011 by Christopher Badell, Adam Rebottaro, and Paul Bender, Greater Than Games, LLC designs and publishes tabletop games. 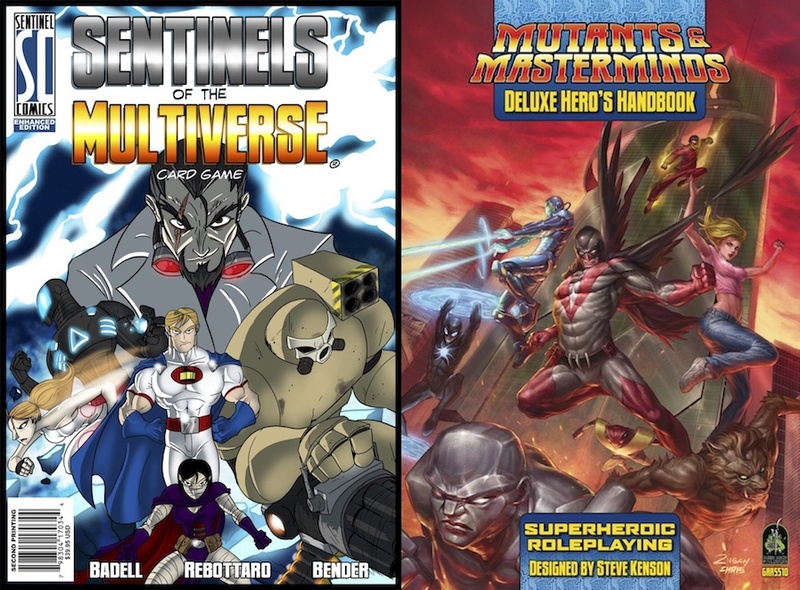 At Gen Con 2011, they released Sentinels of the Multiverse, which was called the best game of Gen Con 2011 by notable reviewers. Sentinels went on to have several highly successful Kickstarter campaigns, culminating in the OblivAeon campaign in 2016, which raised over 1.5 million dollars. Greater Than Games and Dice Hate Me Games (founded by Chris Kirkman) merged in 2015, combining their powers to maximize the awesomeness of the games they publish.